Disaster can strike quickly and without warning. It can force you to evacuate your neighborhood or confine you to your home. Your best defense is preparedness - before, during and after an emergency. Local, state and federal agencies are ready to assist but they cannot reach everyone right away. Families should be prepared to take care of themselves for at least three days (72 hours) following an emergency. A Family Emergency Preparedness Plan should help you determine what is needed to survive many different types of emergencies. The following guidelines will help you and your family prepare. Emergency preparedness is your best protection and your responsibility, so be ready! Creating a family emergency communications plan can assist you when a disaster strikes. Consider using contacts that are out of the area to coordinate family members who are not able to call directly to one another. Create a 72-hour emergency kit for each family member in your home. Consider special circumstances for your family such as prescription medications, eye glasses, formula, diapers, and other special needs you or family members may have. Remember to switch out your kit for the season! Listen to your All Hazards Radio / Weather Radio for updates (see tab "NOAA Weather Radio" for more information). This radio will provide alerts as soon as they are issued by the National Weather Service. 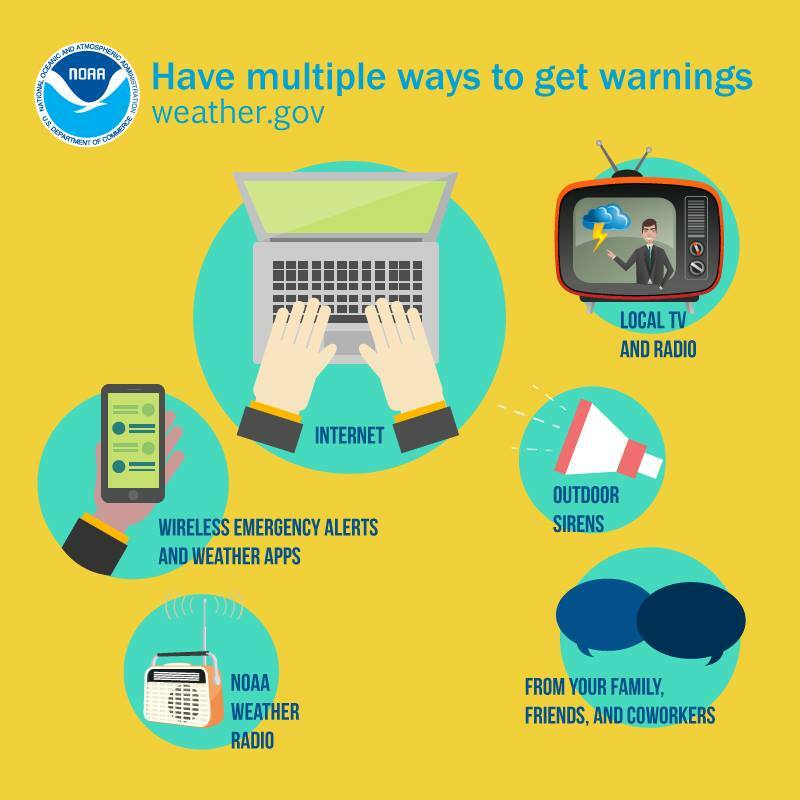 Stay informed about hazards that may impact you and your family. Knowing your hazards will assist you in creating a 72-hour emergency kit that is based on your needs. Getting involved in your community's emergency volunteer efforts. Click on the sub folders listed under Planning & Preparedness to find more information such as how to build your Emergency Plan & Kit, purchase a Weather Radio and how to plan for specific events such Flooding & Winter Weather. Below are links to Preparedness sites as well as information for those with disabilities, for seniors, children, child care providers, business, pets & livestock, personal health and En Espanol. Listed for informational purposes only. The listing does not endorse a particular site or product and viewers are recommended to seek advice from multiple sources and their healthcare professional.